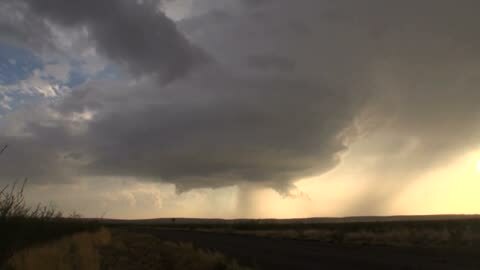 Supercell thunderstorm over rural Texas, USA. 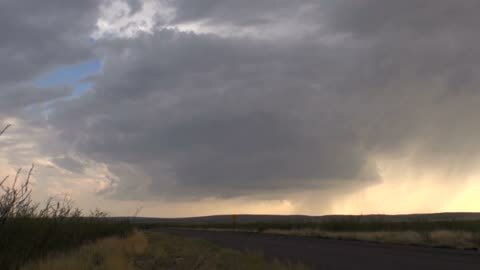 Time-lapse footage of a supercell thunderstorm, a severe long-lived storm within which the wind speed and direction changes with height. 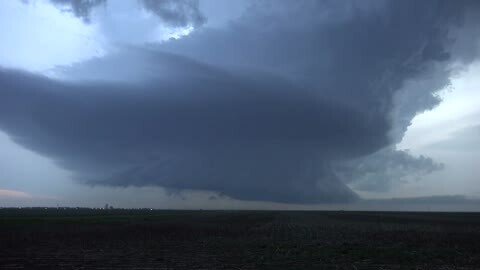 This produces a strong rotating updraft of warm air, known as a mesocyclone, and a separate downdraft of cold air. 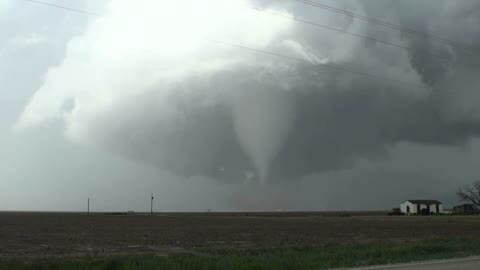 Tornadoes may form in the mesocyclone, in which case the storm is classified as a tornadic supercell thunderstorm. 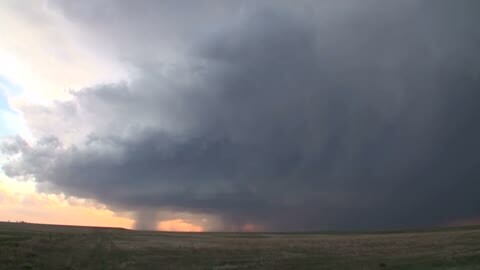 The storms also produce torrential rain and hail. 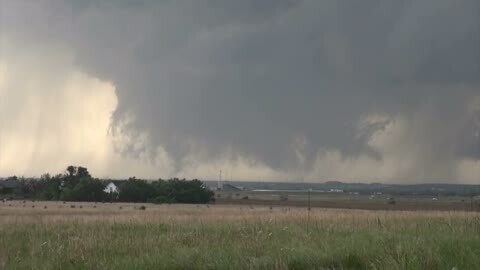 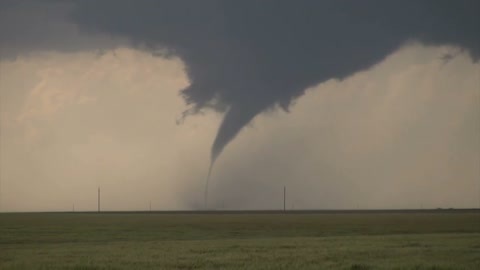 Footage filmed in northern Texas, USA, on 7 May 2014.